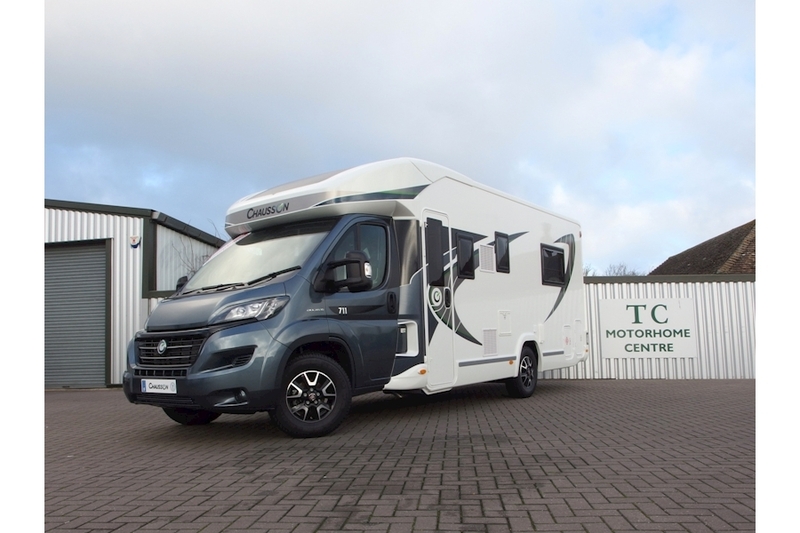 Our On-Line “Immediate Delivery” listings are of new unregistered motorhomes that are available for sale and collection straight away (subject to the pre-delivery-inspection, and new vehicle registration processes). These Chaussons are on display at our modern purpose built showroom located in Hillborough, near Herne Bay, Kent CT6 6TE. 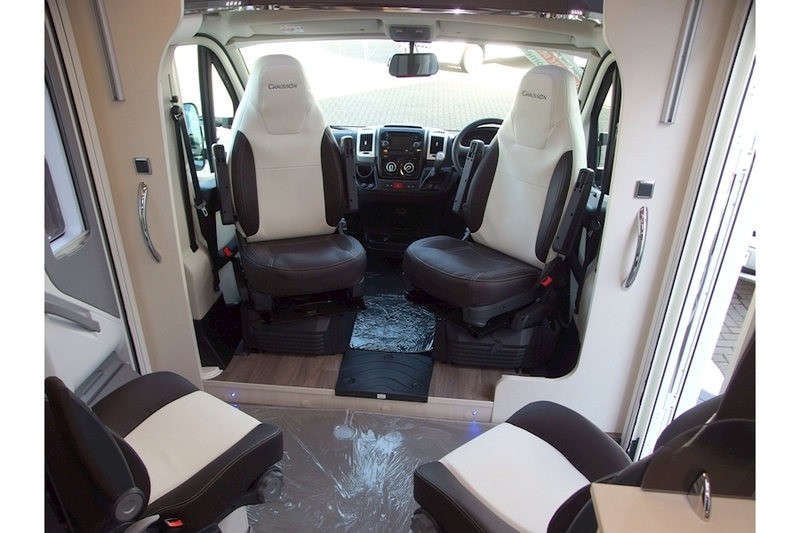 Our “Coming Soon “ listings are of our new Chausson Motorhomes that have been ordered, and are progressing through the system, and gives an indication as to the specification of each vehicle. 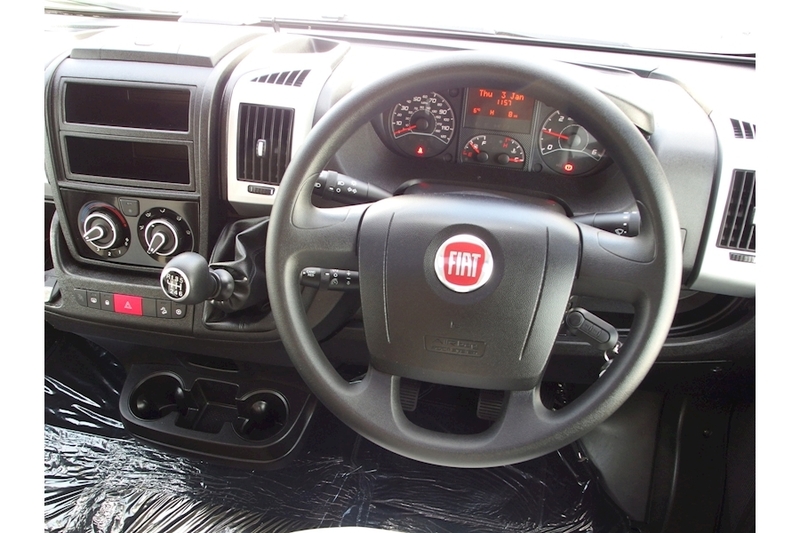 For more detailed information about specifications and anticipated delivery times, please call the sales team on 01227 289111 for more information. 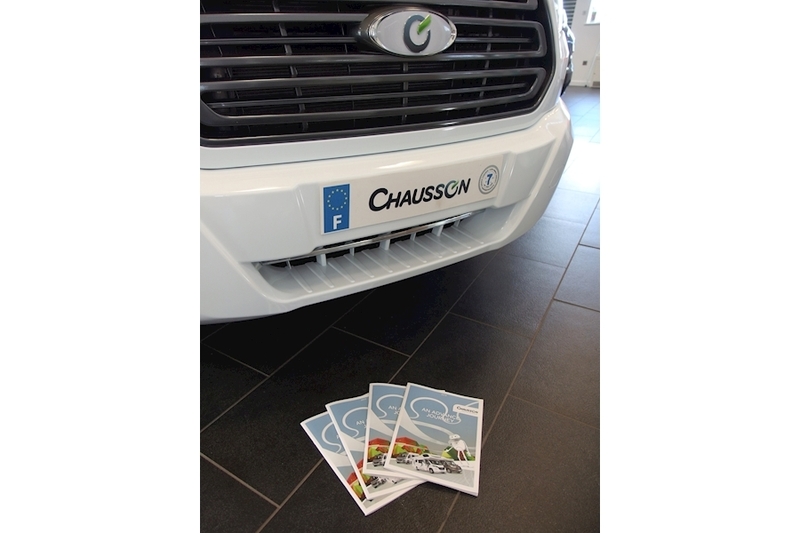 For anyone wanting to purchase a new Chausson Motorhome in line with a particular dead-line or date, sometime in the future, then it may be possible to order your chosen motorhome from Chausson to a certain specification, lead times however can vary and can be quite prolonged. 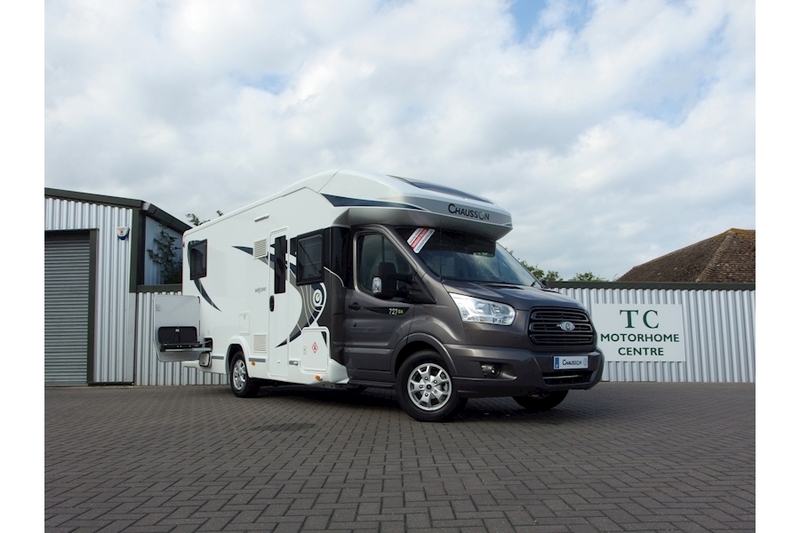 Or email us on: sales@tcmotorhomes.com. 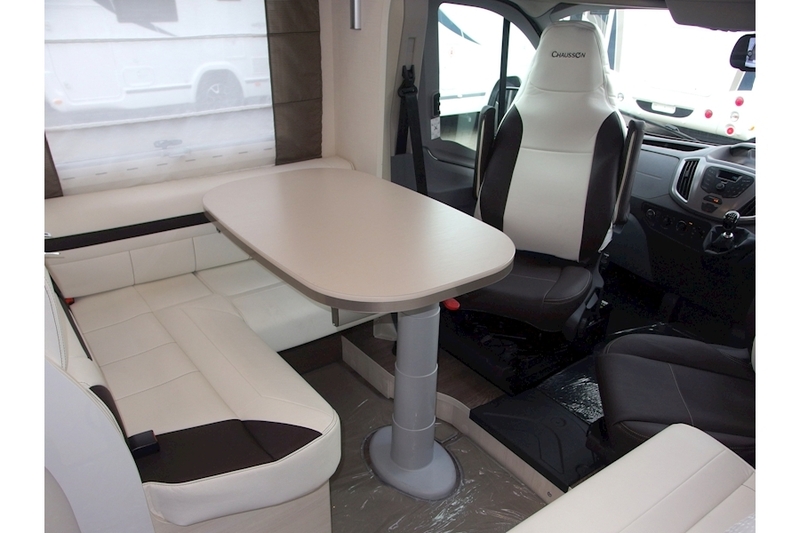 Its Chausson leading the way in terms of Motorhome innovation and modern design. 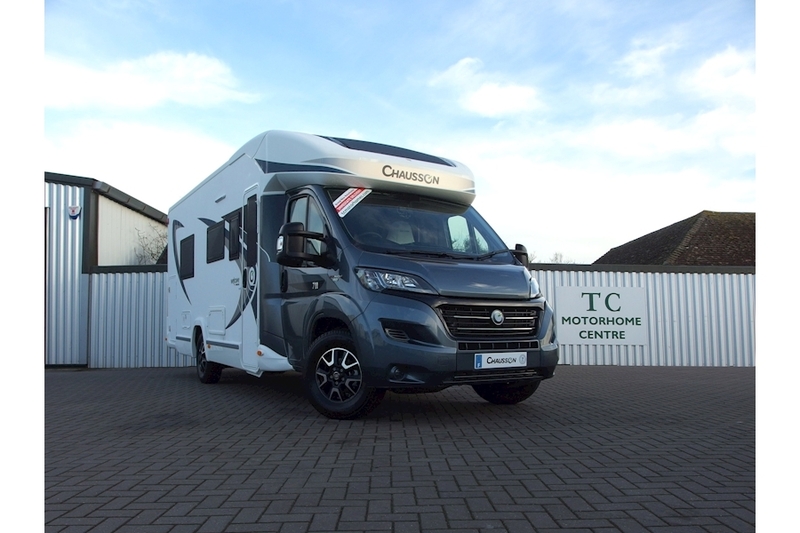 Chausson`s All New 630 Welcome Premium model for 2019 is from the same proven motorhome Chausson family as the 510 / 610 and 620 motorhomes that have trail-blazed our industry. 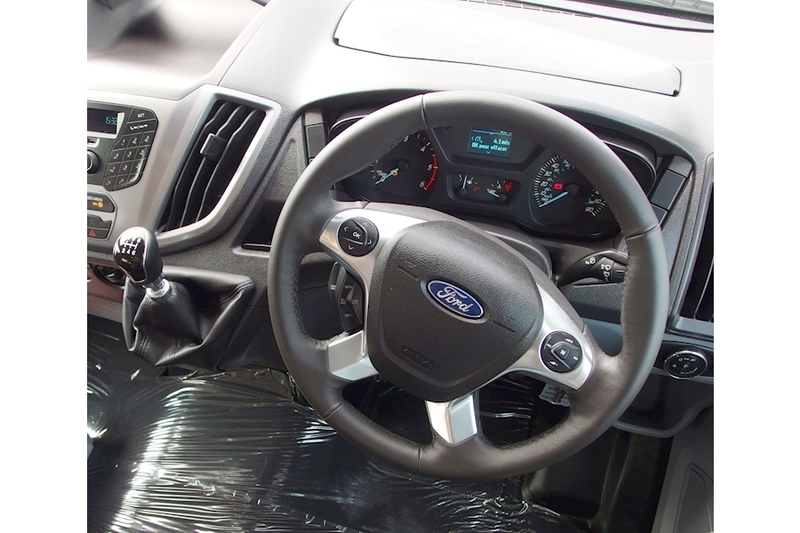 Featuring excellent washroom facilities and garage storage, with the space conquering electric drop-down bed technology. 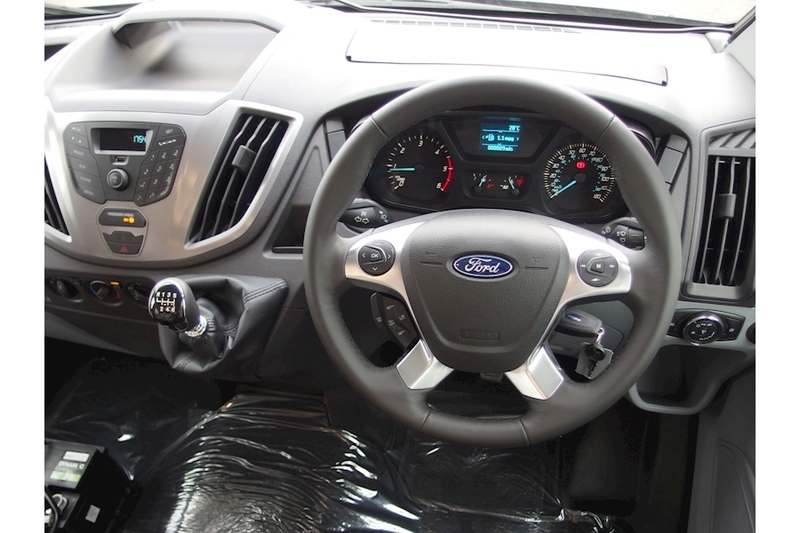 This one also has the super impressive Ford 6 x speed manual transmission. 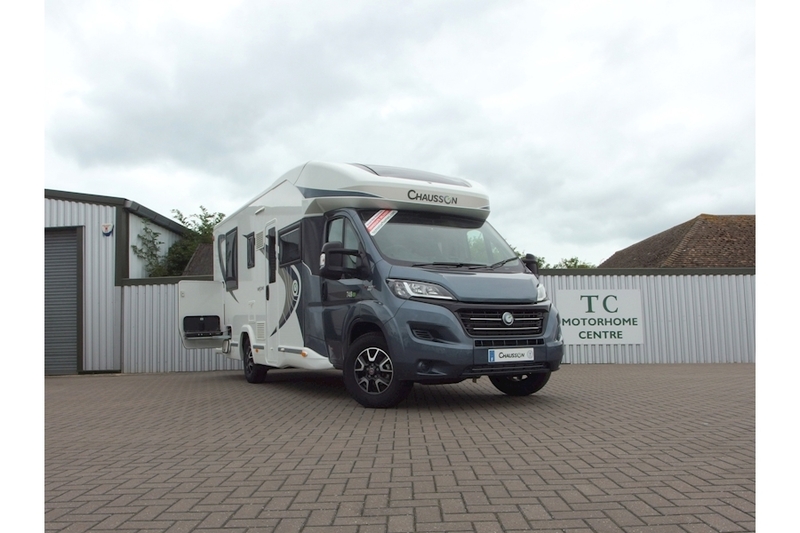 This 2017 video of the Chausson 630 gives an `indication` of how todays model appears .. 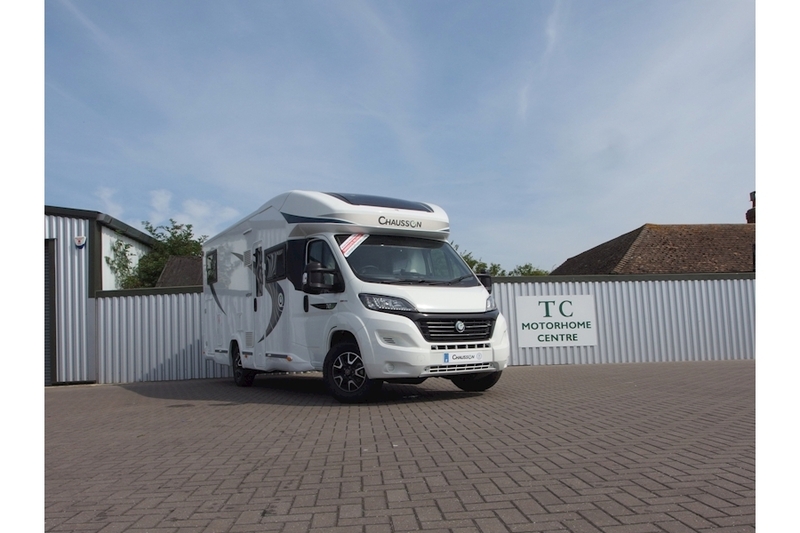 The all new 2019 chausson 630 welcome premium has arrived at TC Motorhomes in herne bay kent .. It`s here now ! 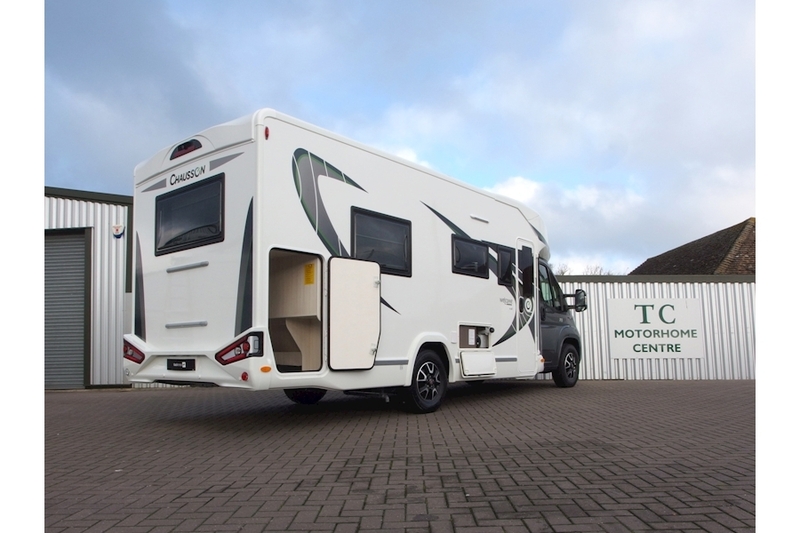 The 630 is a 2 + 2 ( 4 x berth ) coachbuilt low profile motorhome with two independant drop down single beds over the lounge .. So it`s not one-to-bed ... All-to-bed !! ..
Independance has been restored ! 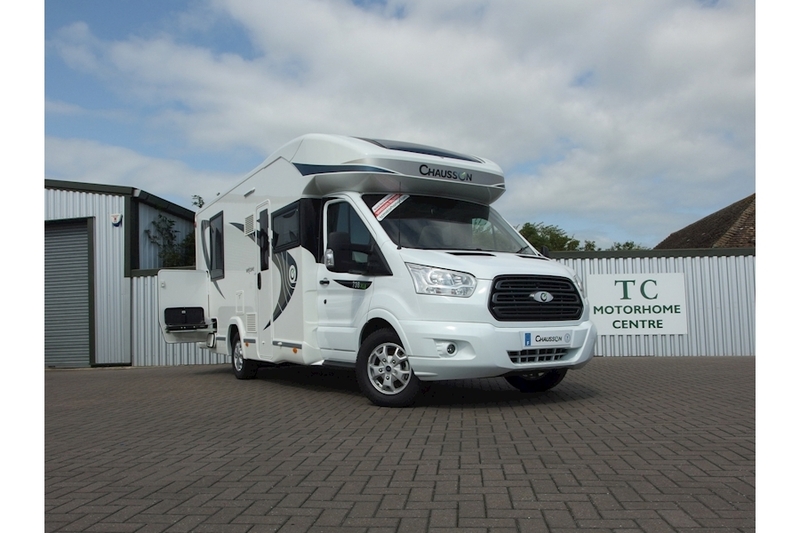 ..
Our first 2019 model Chausson 630`s have arrived, and some, like this one are on the superb Ford Transit motorhome chassis, and has an excellent factory specification including : the welcome premium pack incorporating cab air-conditioning, the engine power upgrade to the all new euro 6 170 bhp ... There`s metallic `lunar sky` cab paintwork, and a reversing camera with rear mirror screen, and the beautiful all new Islay fabric trim. 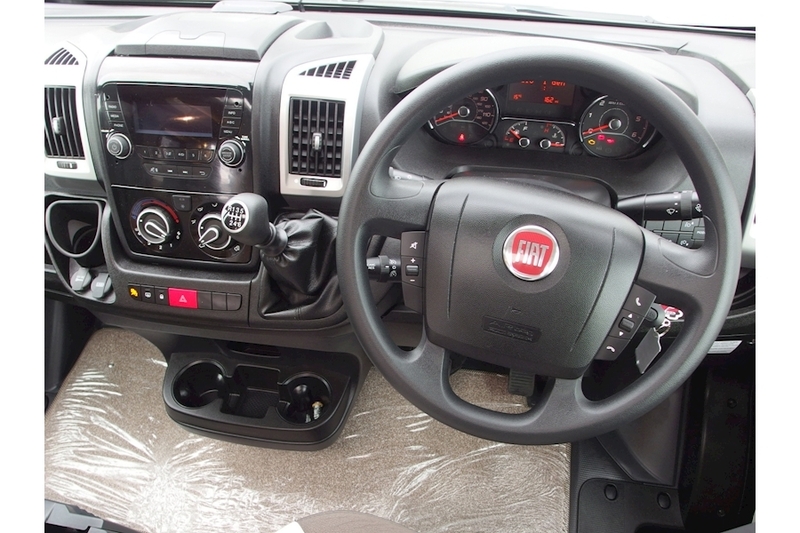 Now save £5000 from the regular list price of £64995. 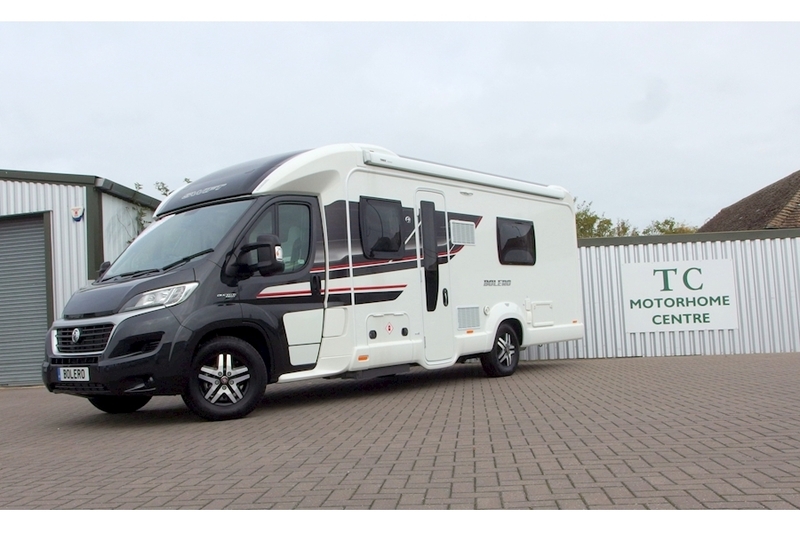 The swift bolero 724 SB is a 4 x berth low profile Coachbuilt Motorhome, with low level fixed rear `French style` double bed and a full width rear washroom with separate shower. This one is Brand NEW / UN-USED .. Just once in a while you get the impression that a particular manufacturer is `absolutely` on top of their game ... With excellent designs & build quality, impressive standard specifications, and competitive pricing .. The `stand-out` manufacturer at the moment I would say is Swift. Take a moment to check out this exceptional 2017 model year vehicle. 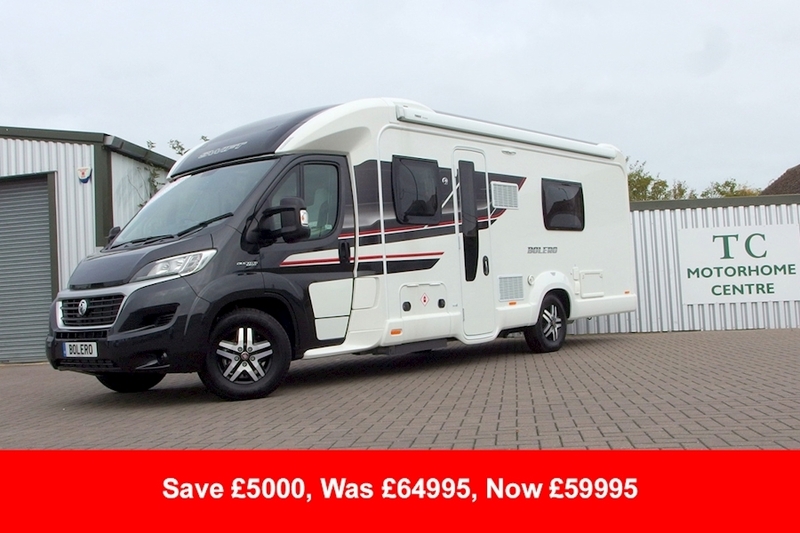 With The Black Metallic Cab & New `Black Edition` Graphics The 2017 Swift Bolero Is A Very Attractive Motorhome, With Excellent Standard Specifications And A High Quality Feel Throughout. The All New on board `Swift Command System` enables the owner to remotely control Hot Water & Heating functionality of their Swift BOLERO Motorhome using GPS & Bluetooth technology. This one has a 6 x speed manual transmission as well as a whole host of additional specification, it`s our last one for the 2018 season, hurry in and beat the price increase!! 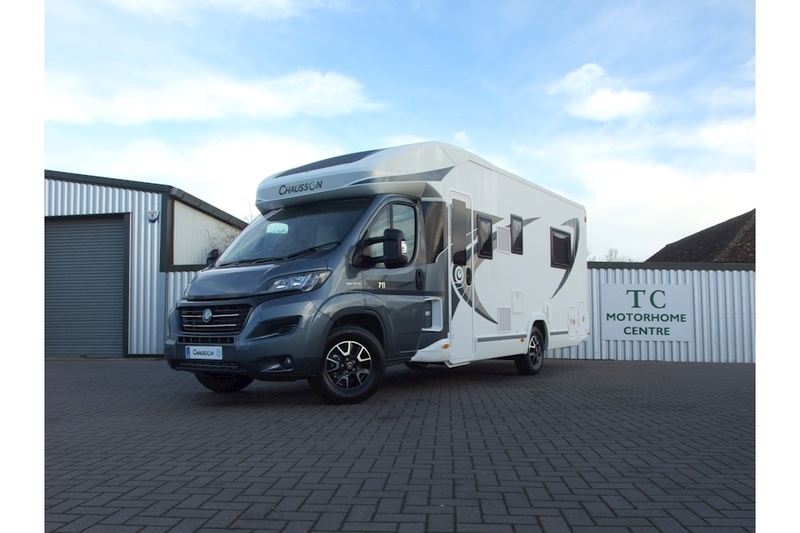 The Chausson 748 EB Welcome was voted as `the one to see` at the recent nec motorhome show in birmingham and for good reason. 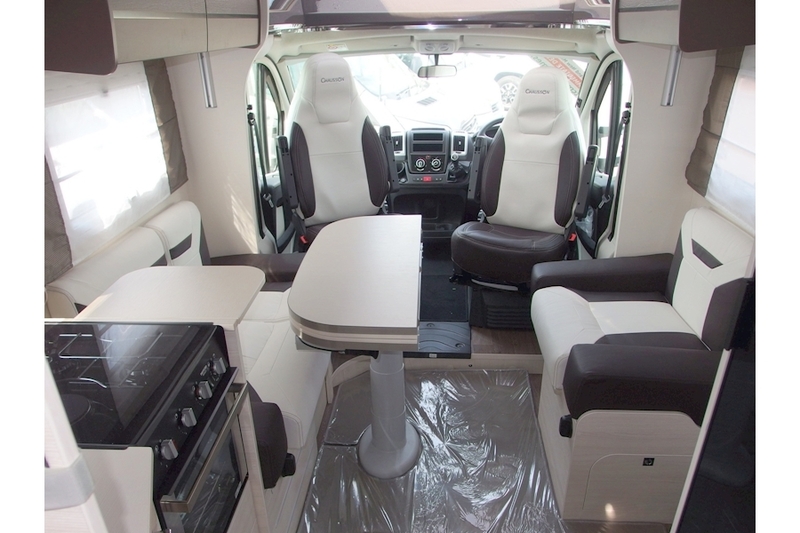 It’s a luxurious coachbuilt motorhome that can accommodate up to 5 x persons, with a height adjustable rear fixed bed over a half size garage and there`s a large forward lounge with hidden `fold-out` `jump` seats that have seat belts. 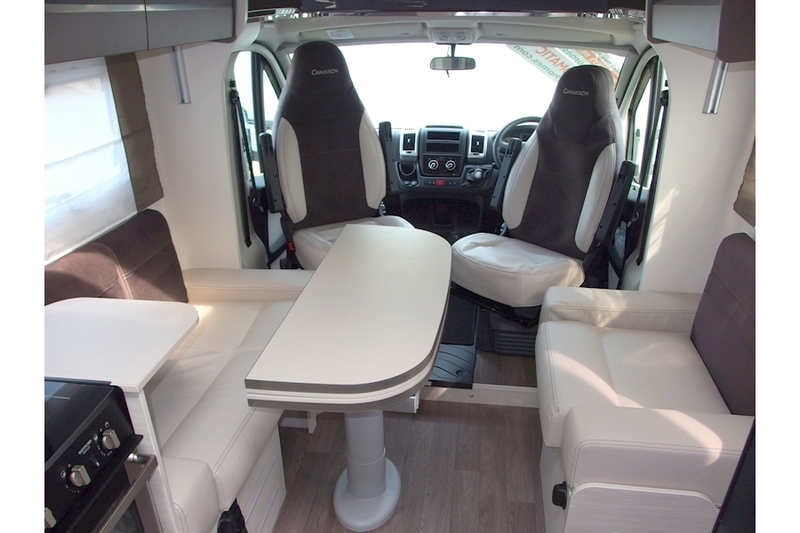 This one has the optional `drop-down` double bed, giving the Chausson its ability to sleep up to 5 x persons; and is equipped with the Welcome V.I.P. pack, the power upgrade from 130 BHP to 150 BHP alongside the 6 x speed manual transmission. 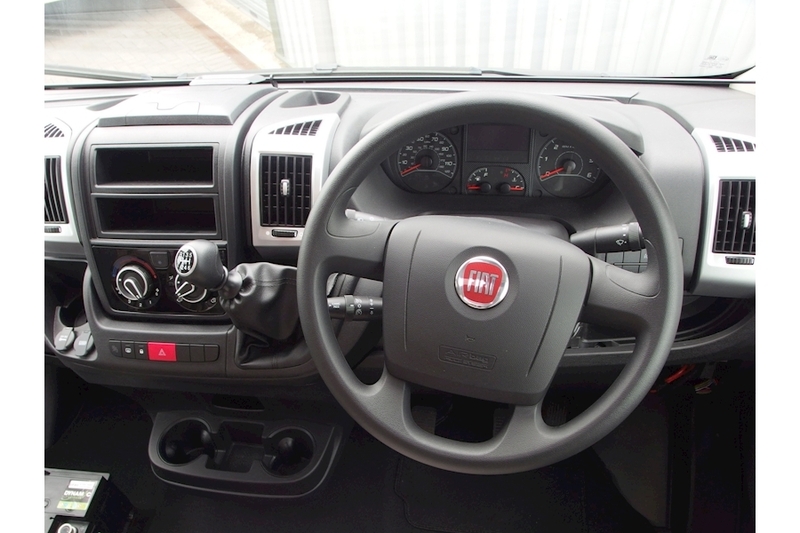 Its an impressive looking vehicle with the anthracite metallic grey cab and inside has the most attractive madame fabric trim and smart malaga wood panelling. The kitchen is unusually well equipped for a European motorhome, coming as it does with a `full-size` Automatic Energy Selection 3 x way fridge and separate freezer, a Thetford 700 series T, 2 x burner gas hob, and Electric Hot Plate, and oven / grill combination unit which is at a traditional height, and not up above the fridge as has often been the case in the past. There are good cupboards and `soft close` drawers for all your storage needs. The washroom is `open` and offers a separate shower cubicle and WC, the washbasin is fixed to the washroom / bedroom wall, the other side of which is a large double `Island` bed. To the wall can be mounted a flat screen TV (optional not standard - please ask for details). There are `Tall Boy` wardrobes either side of the bed, which can be adjusted for height to increase / decrease the garage space below. 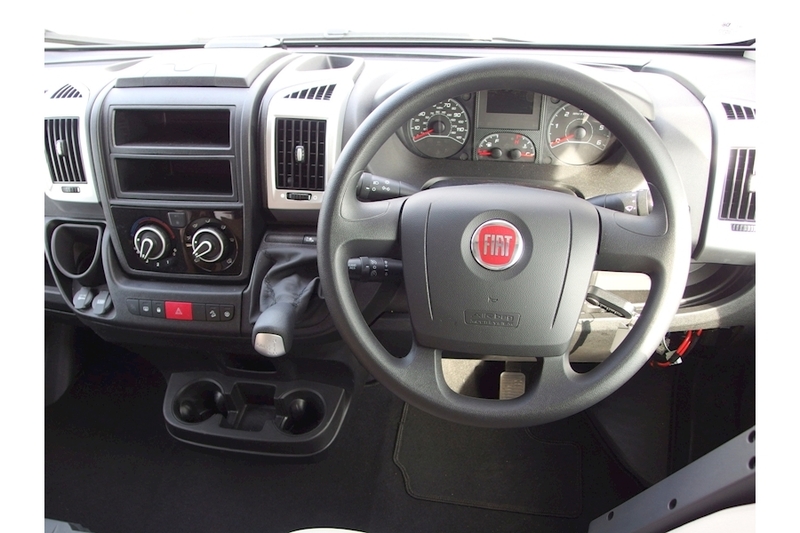 The cab is well equipped with air conditioning, cruise control, electrically operated windows, and central door locking that controls all three entrance doors … The cab windows and screen have built in `night-blinds` and YES ! There are now cup holders. As well as the Welcome VIP Pack which includes a wealth of additional specification including central door locking on all 3 x doors, reversing camera, and additional discreet LED Lighting throughout, this particular 748 Welcome model is fitted with a built in Easy-Chef barbecue, An External Shower Socket for washing off those muddy boots or a dirty dog, a Double Drop-Down Bed, Winter Pack, Madame Fabric Seat Coverings, and the Chassis Plate Upgrade Option to an MTPLM of 3650 kg`s.. 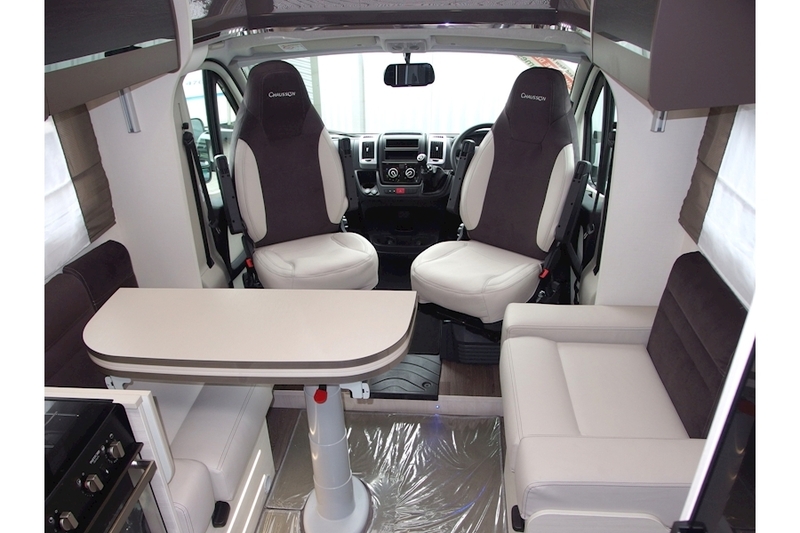 The Chausson 757 Welcome Automatic is a 4 x Berth Motorhome with rear single beds, a full width rear washroom and the all new `smart lounge` up ahead just behind the swivel cab chairs. This 757 has the drop down double bed over the spacious lounge beneath which itself has hidden jump seats that can be folded out into the room so that rear passengers can be safely accommodated. 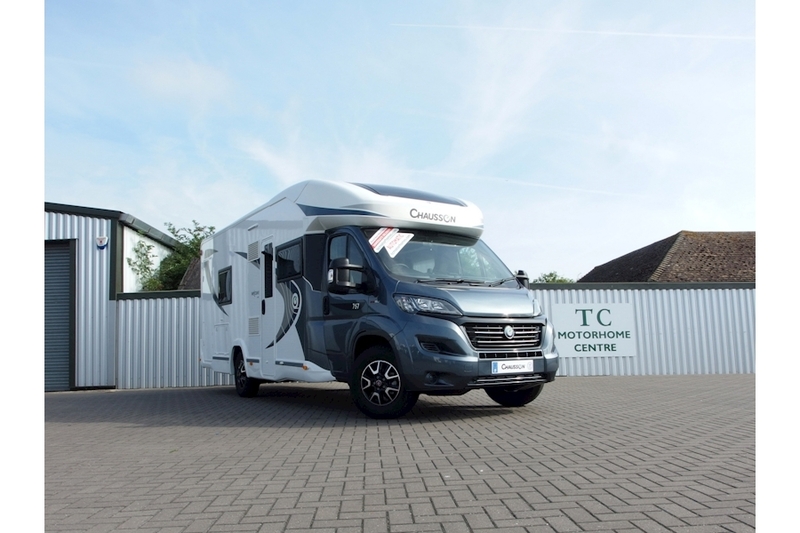 This particular Chausson has a terrific specification, including the Comfortmatic Automatic Gearbox with `Hill-Start` and Traction Control. 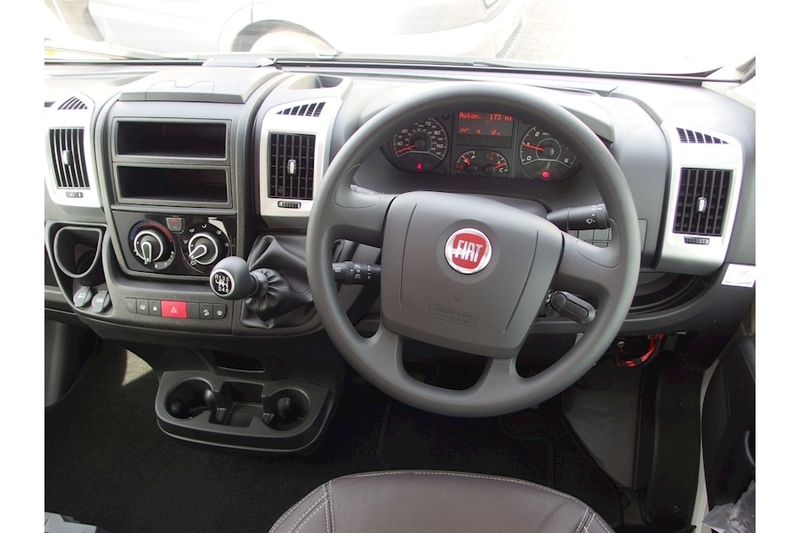 Engine Upgrade to 150 BHP, Alloy Road Wheels, Daytime Running Lights, External Shower Socket and Winter Pack, not to mention the Anthracite Metallic Grey Cab and Madame Fabric on the inside. 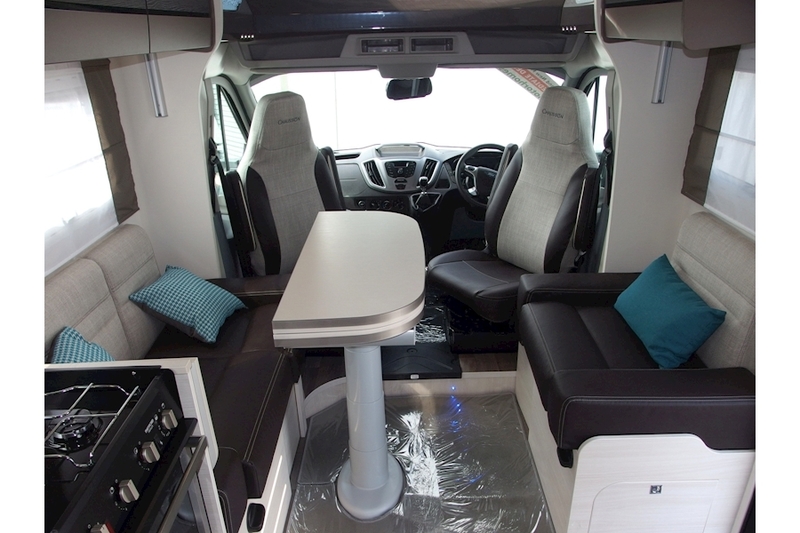 The Chausson 757 Welcome is a 4 x Berth Motorhome with rear single beds, a full width rear washroom and the all new `smart lounge` up ahead just behind the swivel cab chairs. 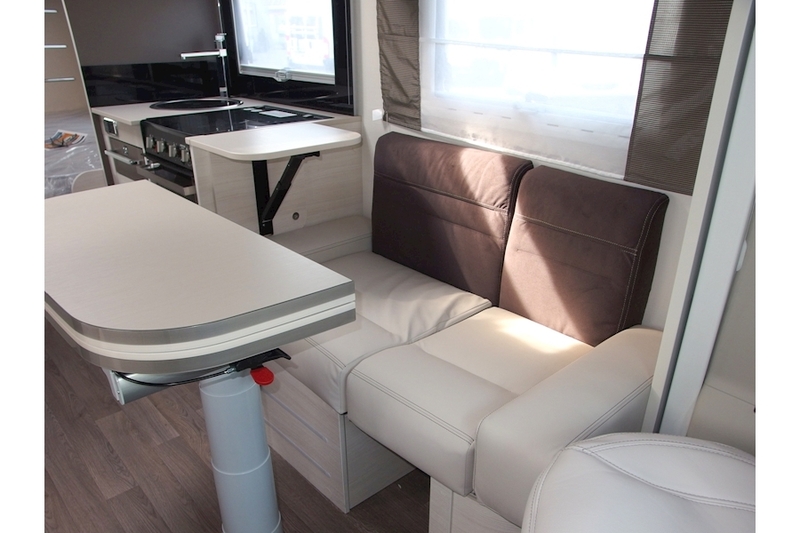 This 2019 757 Welcome has the drop down double bed over the spacious lounge beneath which itself has hidden jump seats that can be folded out into the room so that rear passengers can be safely accommodated. 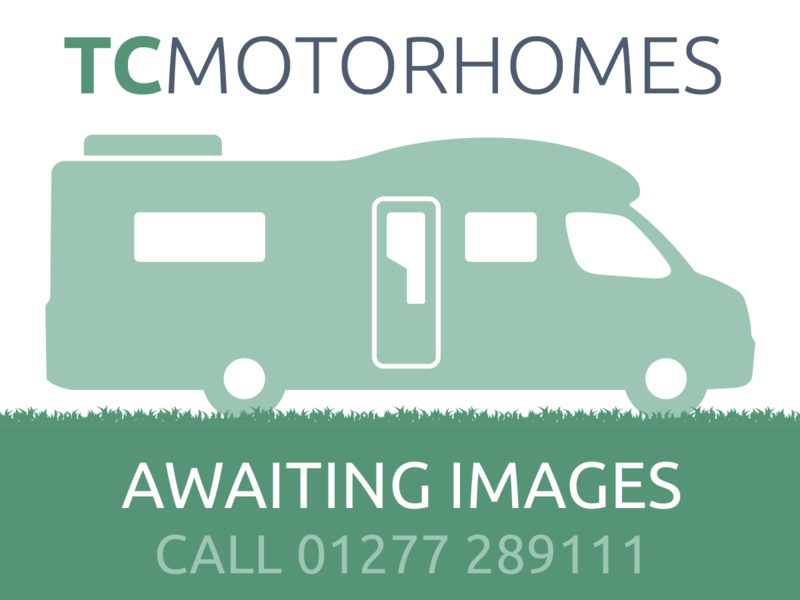 PLEASE NOTE THAT THE IMAGES SHOWN ARE LIBRARY PHOTOS, AND SO THERE MAYBE SOME MINOR SPECIFICATION DIFFERENCES BETWEEN WHAT IS SHOWN IN THE IMAGES AND THIS ACTUAL VEHICLE .. FOR MORE INFORMATION PLEASE SPEAK WITH AN ADVISER ON : 01227 289111 This particular Chausson has a terrific specification, including the Engine Upgrade to 150 BHP, Alloy Road Wheels, Reversing Sensors and Winter Pack, not to mention the Anthracite Metallic Grey Cab and Auckland Fabric on the inside.